The Indiana University Foundation (IUF) manages an endowment of approximately $1.6 billion, administers about 6,000 gift accounts, and provides related fundraising services to Indiana University (IU) and its donors. IU consistently ranks among the nation’s top universities in total voluntary support, the sum of gifts and nongovernmental research grants received from the private sector. Among public universities, IU ranks in the top 15 in the nation in the market value of its endowment. IUF wanted to switch from using Excel spreadsheets for budgeting to a modern and robust budgeting solution to ensure an accurate and collaborative budgeting process. Questica’s non-profit budgeting solution, PowerPlan, provided them with a fully integrated system that was easy-to-use and affordable for their 50 users of the system. Prior to implementing PowerPlan, Questica’s non-profit budgeting solution, the IUF was completing the budget process on Excel spreadsheets. Updating the budget templates for each budget cycle was a very time-consuming process and delayed the start of each budget cycle by about three months. As budgets were submitted, IUF did not have the tools to effectively navigate and analyze the data across the organization. The budget was manually compiled and entered into the General Ledger system for reporting against actual. This was another time-consuming task that added no value. “Previously we spent hundreds of hours setting up and constructing budgets in Excel. We manually reentered our budgets into our General Ledger and making budget adjustments was a difficult process. Personnel budget data was not readily available to key employees,” said Melvin. Once the budget process was completed, IUF faced other laborious tasks every month as they worked to provide reports to managers. “The process of distributing monthly reports took 3 business days, wasted a lot of paper and the reports were not easy for the managers to,” stated Melvin. IUF looked for a solution that would streamline the budget process and provide budget managers online access to updated actual results enabling the managers to take ownership of the process. A system with a strong component for personnel budgeting was also a key requirement for IUF. Our non-profit budgeting solution, PowerPlan, was selected as the solution that best fit the needs and challenges of the foundation. Working with our staff, IUF could quickly implement the system with a structure that addressed their needs. The budget managers at IUF found the system very easy to use and adapted quickly. IUF’s “admin team” were trained on the system and then effectively delivered budget and report training to managers across the foundation. “The implementation process was excellent. We had a very short turn-around on the process and PowerPlan staff [now Questica] quickly picked up on our issues and needs and worked with us to design the system accordingly. The process was very smooth,” said Melvin. IUF prepares an overall budget in the ‘Board’ scenario for the board of directors. During this process, they use projection tools in the system for line items they wish to base on prior budget or actual data. Factors are set to adjust specific line items up or down based on board direction. “The system tools make it very easy to project values into a scenario. We use this both in the budget construction process and for analysis,” states Melvin. The system is then opened to budget managers to input data in a separate ‘Original’ scenario. Board approved budgets are analyzed against manager requests and adjustments are applied as needed. IUF also uses a ‘Campaign’ scenario to prepare multi-year budget projections based on contracts. The personnel budget is kept current with staffing and rates. New hires can be planned and benefit or salary rates can be adjusted globally as a means of projecting personnel costs into a new budget scenario. When IUF wants to copy data to another scenario the process is simple using the features in our budgeting software. The process copies all the data, including personnel assumptions, budget details, and notes, over to the subsequent budget scenario. In addition to the budgeting process, PowerPlan is used on a daily basis, year-round by IUF budget managers, finance department, senior VPs and HR for reporting and analysis. PowerPlan, Questica’s non-profit budgeting solution, has enabled IUF to significantly shorten the budget cycle and provide access to budgeting three months earlier in the process than with the previous Excel based approach. Hundreds of hours are saved in preparation time for each budget cycle. IUF has also experienced significant time savings in the reporting process while providing managers with financial results that are much more current and easier to navigate than the previous hard-copy reports. The budget managers at IUF find the system to be very user-friendly and appreciate the up-to-date access to their results. With the navigation and drill-down capabilities, the users are able analyze and examine their numbers much more thoroughly. Efficiency gained from the system in the budgeting and reporting process has saved IUF one FTE in time over the previous Excel-based process. In addition, IUF saves on paper and printing costs as all users now access their reports online in PowerPlan. Utilizing driver accounts for planning expenses such as phone, parking passes, and PDAs, IUF can produce a much more accurate projection of expenses. The improved visibility into the budget assumptions enabled them to reduce operating expenses by $150,000, through a better understanding of details supporting the numbers, without any reduction of available program resources. 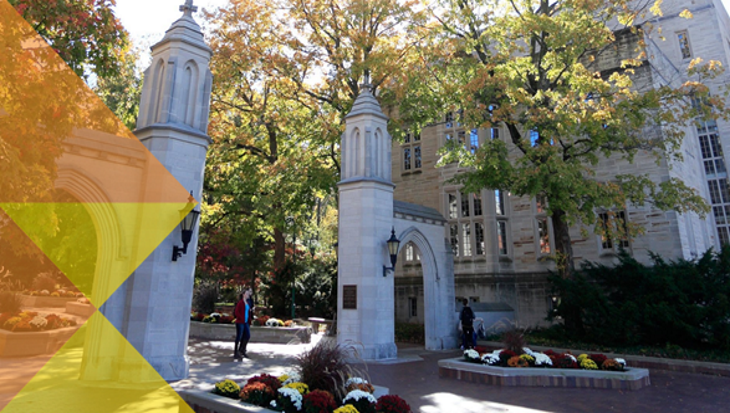 Thanks to more efficient budgeting, the Indiana University Foundation is brilliant.